I talked to all the “butchers” in my neighborhood and finally found one who will give me the pork and beef fat they cut off. Turns out the only butcher that cuts actual meat apart is Safeway. The other places are what I call “meat retailers,” they just buy pre-cut meat from the real butchers and sell it out of their refrigerated display racks. This is the beef fat I got from one visit yesterday, it’s over 8 pounds and will render into about a half gallon of lard. Technically it’s called “tallow” if made from beef fat, but it’s very similar. I use this for cooking to replace butter or cooking oil and my wife makes soap out of it. Rendering lard/tallow instructions here. As an added bonus, butchers can’t possibly get all the meat bits off the fat, so I always end up with a bunch of meat that i carefully separate from the fat. 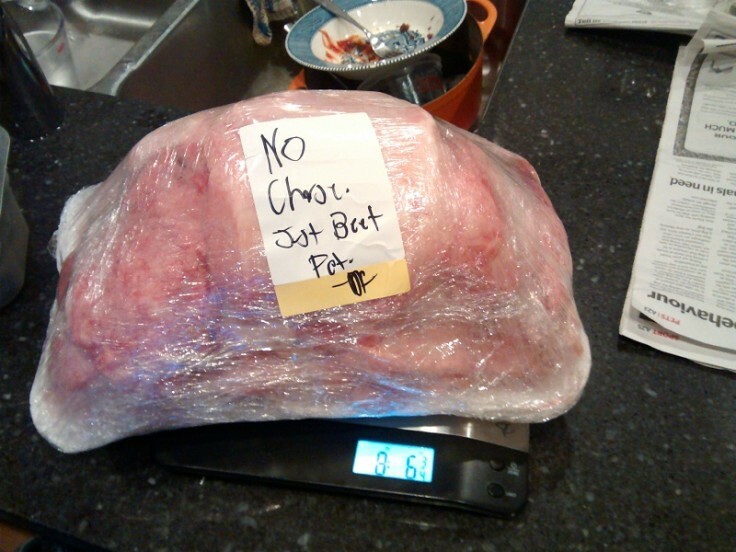 Here is all the meat left over from a much smaller batch of fat I picked up last week. 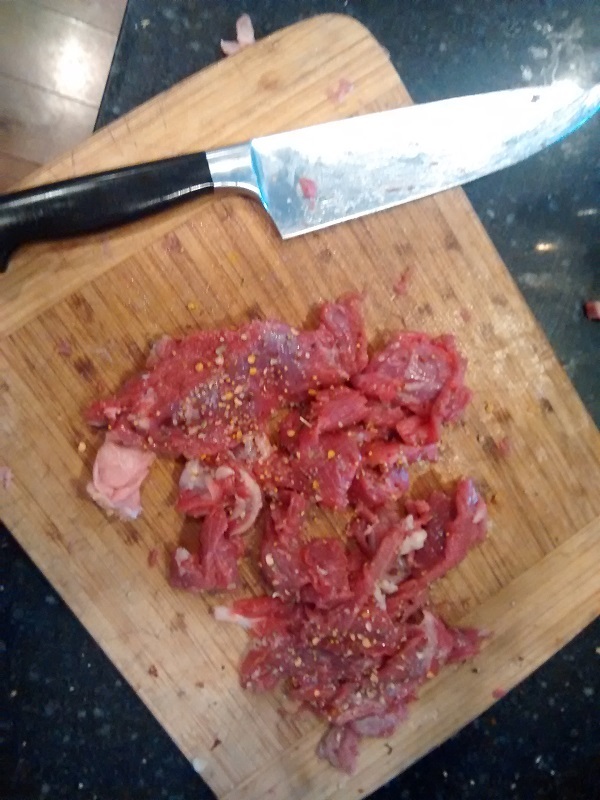 I can usually salvage enough meat for one meal for two adults with a little left over.